OK, I feel just a little better about giving a gift card now. Nothing like adding a little "home made touch"
"A Christmas Story" Book for my inspiration on this one. and I was the super lucky winner and my gift has arrived in record time. Timing was perfect as I have been eyeing off this book and was ready to buy it! I was also spoilt to receive 2 Curio Charm packs. I also like the quilt that Josie had in her post. Josie is also so close to finishing off her Boy Story Quilt so why not pop on over and take a look. 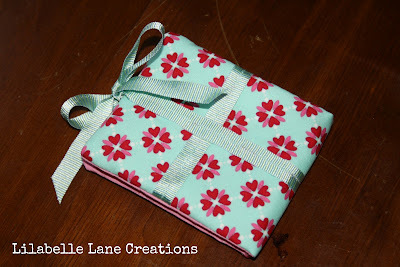 I have also received my May block from Charlene in the Block Swap Adventure. 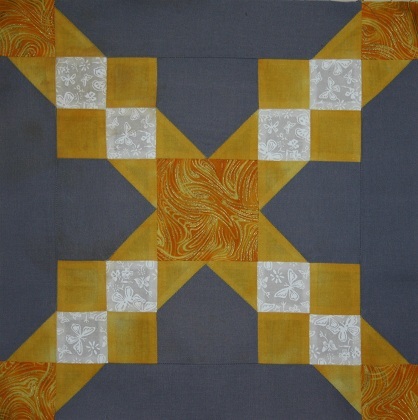 I can definitely see this Grey and yellow quilt taking shape here. 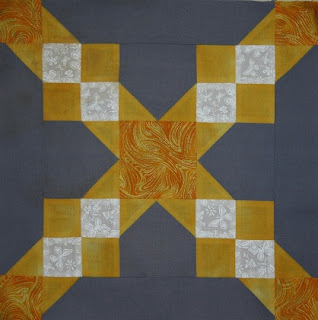 Might have also squeezed in a little more work on my SKOW - My favourite things Quilt. I will try and organise the photos today and share with you soon. Congrats on the great win. I know what you mean about gift cards, but our youngest niece and only nephew wanted them for Christmas. The iTunes gift cards we got them were large rectangles and didn't fit in gift card holders, so I made lined drawstring bags from Christmas fabric and added candy too. Of course I forgot to take pictures, but they liked them. I think yours is so cute. WooHoo another winner! I love it when friends WIN things!!! 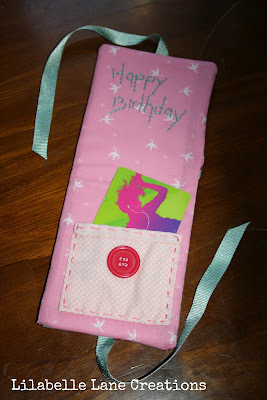 Also just love the gift card pouch... brilliant! Well done Sharon! What a lovely surprise. Love your gift card idea. Have a lovely weekend. I'm off to finish some projects! You are so lucky! 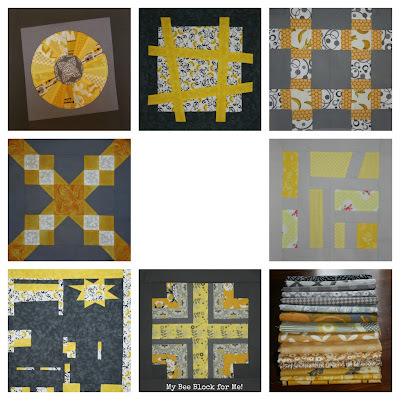 Your quilt is really going to be stunning with the yellows and greys, I'll get back to block swap adventure maybe by July if the move goes well. Hugs V.